Warren Buffett Singapore webpage is to provide the profile information of Warren Buffett as it is often searched by value investors in Singapore for their sources of inspiration. Some of the Singaporeans may even spell once the world richest guy’s name wrongly for e.g. Warren Buffet, Warren Buffet, Warren Bufett, Waren Bufett and Waren Buffett. Not many people may know that his full name is actually Warren Edward Buffett. I also bet that not many people also know that Warren Buffett Singapore footprint was established back in 2013 with his Berkshire Hathaway Inc setting up a Berkshire Hathaway Singapore private entity and a Singapore branch for Berkshire Hathaway Specialty Insurance Company. 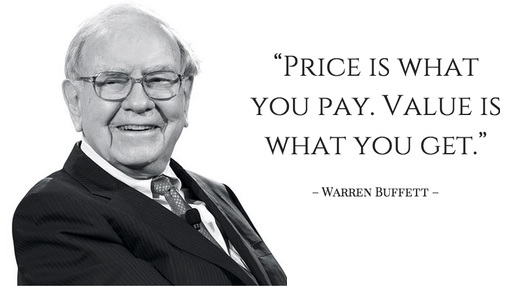 Warren Buffett was born on August 30, 1930. The only boy, he was the second of three children, and displayed both money and business acumen amazingly at a very early age. People whom met Warren Buffett in the past or his present colleagues recalled that his uncanny ability to calculate columns of numbers off the top of his head. Even when he was just only six years old, young Warren Buffett pocketing a five cent profits by selling a bottle of Coca Cola for a nickel which he had purchased 6-packs of Coca Cola from his grandfather’s grocery store for twenty five cents. That was a certainly a contrast that children at his age were still playing while he was making money. Five years later, young Warren Buffett began to start investing in stocks. At eleven years old, he purchased three shares of Cities Service at $38 per preferential share for both himself and his older sister, Doris. But the stock plummeted to just over $27 per share. Warren sold his shares at profit wen the shares rebounded to $40. He regretted later. Cities Service shot up to $200. That experience caused him to appreciate the meaning of having patience in investing. When Warren Buffett graduated from High School in 1947, he was just seventeen years old. He continued his money making passion by delivering newspapers and he had never thought of going to the college. His father, Howard had other plans, and urged the young Warren Buffett to attend the Wharton Business School at the University of Pennsylvania. Warren Buffett stayed two years, complaining that he knew more than his professors. One year later, he was transferred to the University of Nebraska and managed to graduate in only three years while he was working full time. When he was later persuaded to apply to Harvard Business School, his application was rejected as “too young”. This could be possibly the worse admission decision that ever made by a world class tertiary institution. Young Warren Buffett (Left of the image) managed to graduate from the University of Nebras ka in 1949 and later studied in Columbia Business School and under the mentorship of professors Benjamin Graham (right of the image) and David Dodd. These two business school faculty members had made names for themselves by developing a method called “value investing” which involves identifying a company’s intrinsic value and buying securities priced well below it. Their value investing teaching to Warren Buffett resulted an valuable experience that would change his life. Value investing has since been championed by generations of successful businessmen including Value Investing Singapore named gurus. When Benjamin Graham was 40 years old, he published Security Analysis, one of the greatest works ever penned on the stock market. At the time, it was risky; investing in equities had become a joke. Soon after, the greatest depression occurred in 1929. It was around this time that Graham came up with the principle of “intrinsic” business value – a measure of a business’s true worth that was completely and totally independent of the stock price. His subsequent book, The Intelligent Investor, which Warren Buffet celebrates as “the greatest book on investing ever written”, introduced the world to Mr. Market – the best investment analogy in history. Through his simple yet profound investment principles, Benjamin Graham became an idyllic figure to the twenty-one year old Warren Buffett. Reading an old edition of Who’s Who, Warren discovered his mentor was the Chairman of a small, unknown insurance company named GEICO. He hopped a train to Washington D.C. one Saturday morning to find the headquarters. He eventually acquired the entire GEICO company through his corporation, Berkshire Hathaway. Since Professor Benjamin Graham and Warren Buffett are well known value investing gurus from Columbia Business School, the value investing program taught in this school should be the world’s best program. Based on the Benjamin Graham or Warren Buffett approach to allocating capital, the value investing program from Columbia Business School will teach the frameworks and processes of investing that some of the most successful investors in the world employ to manage and build their wealth with calculated and minimum risk. Students under this program will also learn to use quantitative valuation techniques, such as arbitrage, asset-based approaches and the earning power method, and they will be able to effectively combine those tools with strategic methodologies for estimating franchise value. Guess how much will this Columbia Business program costs to you? The 3 day value investing program will cost you close to S$10,000 plus aside the other cost in food, accommodation and airfares. Do you have a cheaper alternative? The answer is yes. Just go to our homepage to sign up for our free Value Investing Seminar today. Warren Buffett is not only the best value investor seen in this century but he is also one of the smartest philanthropists. One of his innovative ways of raising charity funds is to put up an yearly auction for bidding a lunch opportunity with him. Guess what? A Chinese man from Singapore successfully bidded 2014 lunch auction with Warren Buffett at a price of USD2.17 million. To date, the highest successful bid price was USD3.5 million back in 2012. Such fund raising started by him amounted to over USD80 million since the first bid was $25K back in 2000. Isn’t it cool to know this?